There’s nothing more classic Americana than a father and his child bonding over cars — whether it’s a passion for driving or taking on a restoration project from the bone yard. And that’s how the Dads and Grads Car Show in Lexington, Kentucky got its start. 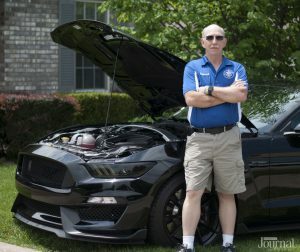 The Bluegrass Mustang Club, founded in 1981, puts on an annual car show the Saturday before Father’s Day — and it all blossomed out of a conversation that former club president Del Mercier had with his son Marc 12 years ago. That was a good question. The officers at the time investigated the possibility. They started the event at Commonwealth Stadium for its first three years before going to Valvoline Headquarters and Paul Miller Ford, and now back to Valvoline Headquarters on Blazer Parkway again. The show has grown over the years as more and more people come to the event to admire the beauty of these powerful machines. There are judges for their ten categories; all makes and models are accepted. Bluegrass Mustang Club also has a popular silent auction and it all benefits local charities. Even Boy Scout Troop 859 helps to set up the show throughout the day and gets to award their favorite car. 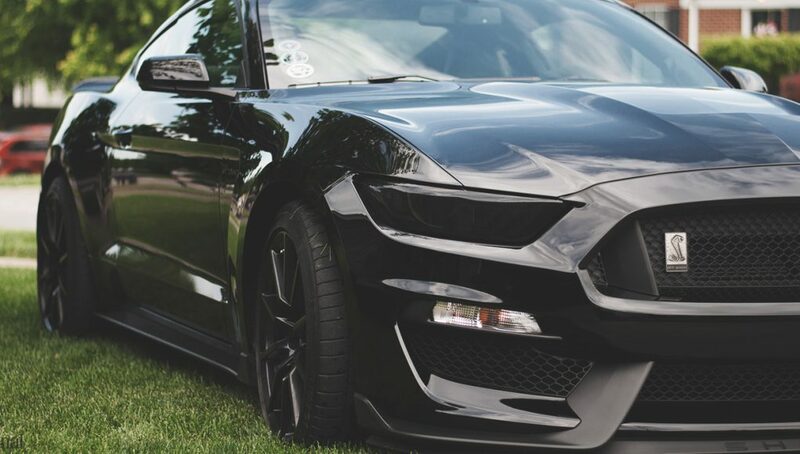 But for the founders, it’s really all about connecting and hearing the love stories behind every car. Mercier worked in a body shop in high school and in college —he loved cars. His 1966 Sunbeam Alpine was his first love. The passion passed on to his son, Marc, and a restoration project for the father-son duo wasn’t a hard sell. 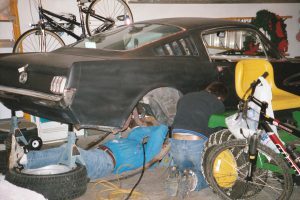 It took Del and Marc six years to restore the 65’ Mustang, working on it as time and money permitted. Mercier had often coached Marc through sports, but this project forged an even deeper bond. Marc, who was in junior high at the time, had a goal to get the car ready for his senior prom. That didn’t pan out because the interior wasn’t completed in time and no girl was going to risk the safety of her prom dress. Nonetheless, his mother Becky could see something bigger occurring. 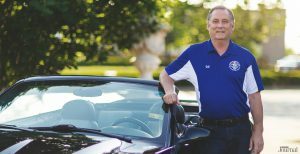 Current Bluegrass Mustang Club President Raymond Goins has seen this for decades. Getting your hands dirty and hearing that engine purr has a generational reach. Goins, who served 20 years in the military, is in his first year as club president after being a member for five years. 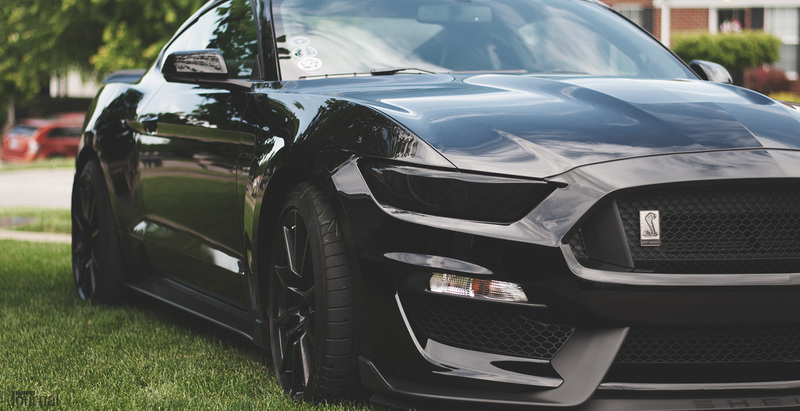 His 2018 Shelby GT350 is his pride and joy. Del feels the same about his 2003 Mustang Cobra Convertible. Getting interrupted for some casual car talk with other drivers while stopped at a red light is always welcome. One of the best things about the Dads and Grads Car Show for Mercier and Goins is just making the rounds and hearing the stories behind these cars. But despite the pageantry and showmanship involved with these classic and beautiful cars, the true purpose for the Merciers always goes back to the satisfaction of paternal bonding and using the love for automobiles to accomplish it. 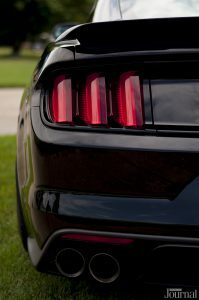 The Dads and Grads Car Show presented by Bluegrass Mustang Club is June 16 from 9 am to 4 pm at Valvoline Headquarters. 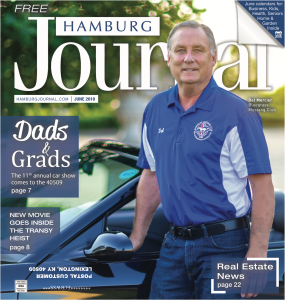 This article also appears on page 8 of the June 2018 print edition of Hamburg Journal.